The MTC’s outreach activities include dissemination of MTC research through our website, sponsorship of conferences and workshops, dissemination of research reports and technical briefs, and subject area experts working directly with communities locally and internationally. The MTC also works closely with Iowa Local Technical Assistance Program staff to identify partnering opportunities for translating safety-focused research findings into practice for Iowa’s local communities. Every MTC-sponsored research project must have an advisory committee. Practitioners who participate in these committees learn about the project and the MTC and often become champions in implementing project results. 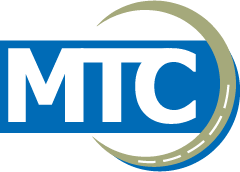 In July 2015, a brief was distributed to legislators quantifying the MTC’s impacts and its success in leveraging, through match funding, $5 million allocated to date into more than $11.5 million to make a real difference in Iowa and beyond. Learn more about our research and how it impacts communities in Iowa and beyond.